This report offers a summary of the comprehensive literature review that Dr. Claire Betker completed as part of her dissertation research. 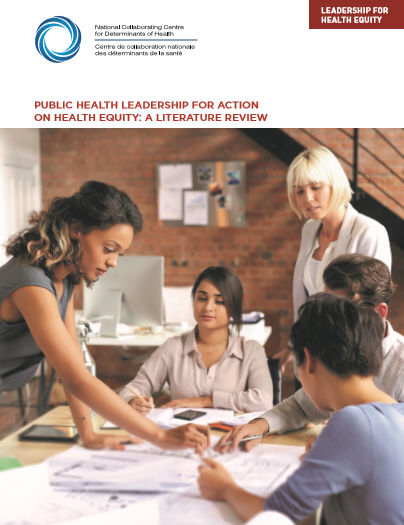 It provides an overview of the available literature regarding public health leadership for action on health equity. 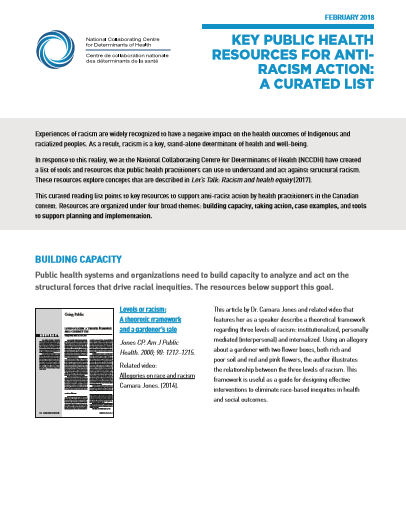 The seventh release in our Let’s Talk series discusses racism as a critical factor that impacts health and wellbeing. The concepts of race, racism and racialization are described, with attention to settler colonialism and structural racism. 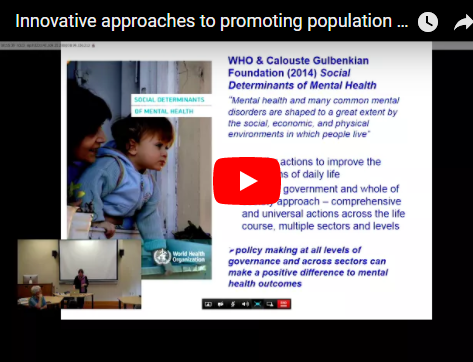 The six NCCs for Public Health collaborated on a project to increase understanding of population mental health promotion for children and youth. Together, they developed a collection of documents to mobilize knowledge, clarify key concepts, and strengthen public health practice in this area.